Early bird Discount ends 31 January 2019. 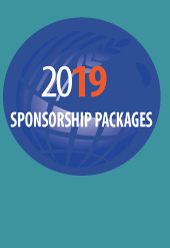 Take advantage of a special, reduced rate and secure your place at the 28th IGC Grains Conference in London, on 11-12 June, 2019. The forum has long been established as the industry’s flagship conference, bringing together trade professionals, policymakers and business leaders from across the entire supply chain. Offering a truly global perspective, top-tier speakers will share insight and knowledge in a series of panel discussions, including on market fundamentals, economic drivers and the latest developments in technology. Building on the success of last year’s event, the Conference has again been extended into a second day, during which stakeholders will have the opportunity to share views and engage with market experts in a series of interactive workshops.